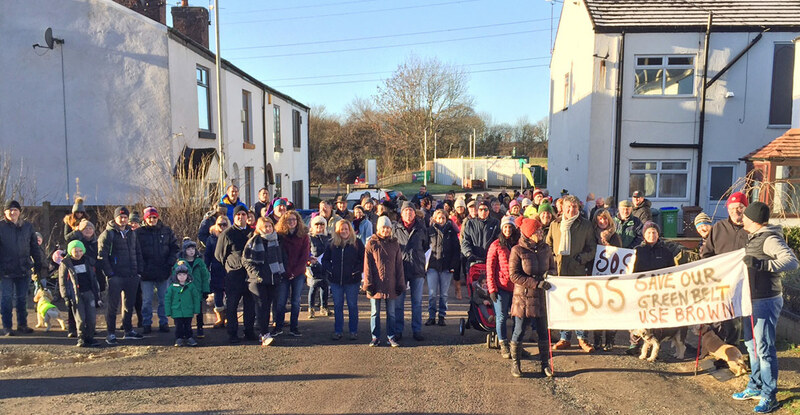 Welcome to SOS – Save Our Slattocks : a community action group dedicated to pushing forward the Save The Greenbelt agenda for the area. The green belt land of Slattocks, Stakehill and Thornham Fold is under a very real threat of being developed into housing and industrial estates. The combined local authorities of Greater Manchester have produced a blueprint plan called the GMSF – the Greater Manchester Spatial Framework. The GMSF, amongst other things, identifies areas of land which have been highlighted as potential building sites for new housing and industrial units. Many areas of green belt land in and around Greater Manchester are included in this plan, including most of the land in our very own Slattocks, Stakehill & Thornham Fold, as well as in Rhodes, Bowlee & Simister in Middleton, Healds Green & Chadderton Fold, Royton, Heywood and Bury. To see the full scope of the proposed developments that affect our area, please click here. If you are new to Save Our Slattocks, please visit the Welcome page for an introduction. Use the News link on the left to view all the latest updates to the ongoing campaign in our area and elsewhere against the GMSF. If you want to get involved and be a contributor to this site, please send a message using the Contact Us page.